A little yellow house with a big appetite. Java Jack’s is recommended by The Lonely Planet, Fodor’s, Where to Eat in Canada and our many happy guests. Situated in a heritage house in the heart of Gros Morne National Park, Java Jack’s started as a cafe in 2000, serving good coffee and great bag-lunches for hungry hikers on the go. By 2003 we expanded to include a fun and funky restaurant upstairs where fresh fish & seafood, wild game and vegetarian fare are served with good wine and locally brewed ales and lagers. 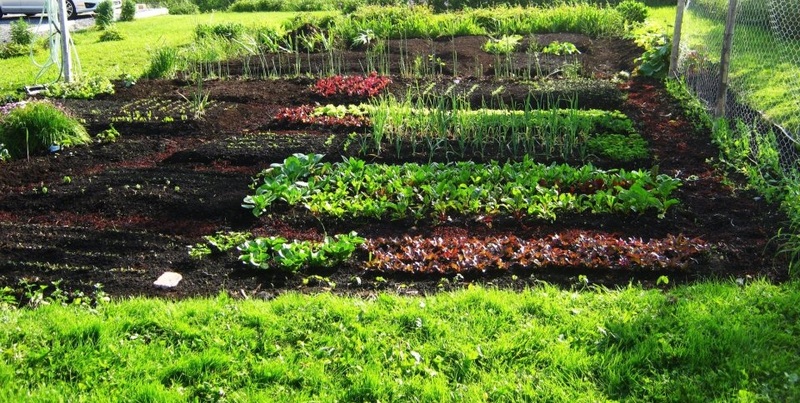 The big organic garden (with the best soil in Rocky Harbour, if not Newfoundland!) supplies fresh greens and veggies as well the flowers for our dining-room and cafe. Reservations are not required. Come on in. Wow, is all we can say after having had a wonderful evening meal at Rocky Harbour for 4 days and only by chance we saw your restaurant on our last evening. It is our only regret so far during our stay in the Gros Morne Park. We shall travel up the Northern Peninsula and in less than two weeks will return to Switzerland where we shall recommend your restaurant to anyone we talk to! Thanks for making our evening so memorable and thanks to Alex for the friendly service! Feeling Cosmo..politan. Get yours on May 18!! Mandy preps the lemon scones and tops then with our own Blueberry Raspberry Spread!